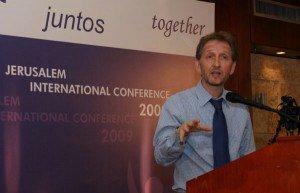 David gives frequent lectures in Israel and overseas on all aspects of Israeli and Israeli-Diaspora current affairs. In Israel, he speaks regularly to visiting Congressional delegations, leading European politicians, visiting journalists, Birthright groups, Yad Vashem seminars, groups organized by major Diaspora organizations, synagogue and youth movement groups and missions, students and others. Abroad, he has lectured on behalf of AIPAC, Jewish Federations, the ADL, Hillel and innumerable other Jewish organizations. He has also served as a scholar in residence on various educational and synagogue programs, and lectured widely to Jewish and non-Jewish groups at conventions, seminars, on university campuses and more. If you would like to arrange a lecture, contact David.